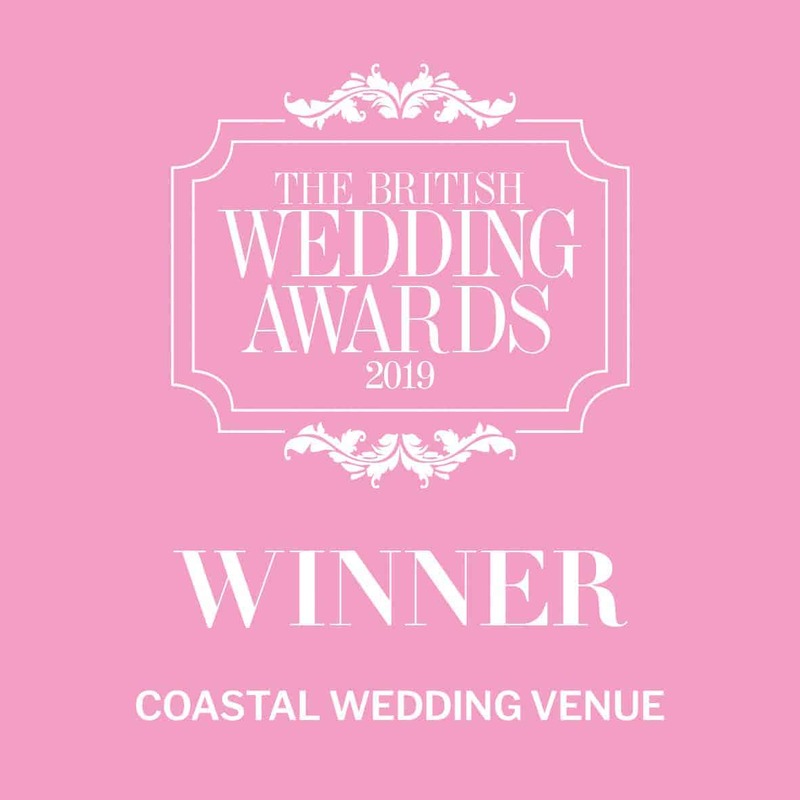 We are very excited to announce that St Audries Park has won the ‘Best Coastal Wedding Venue’ award at the British Wedding Awards 2019! The BWAs are the most prestigious wedding awards in the UK, and our success is all thanks to the hard work and dedication of our team, and of course our lovely couples that voted for us! We were also recently shortlisted in the final 14 wedding venues at the BWA 17. We were voted ‘Best UK Wedding Venue’ by readers of Wedding Ideas Magazine at the Wedding Ideas Awards 2013 and were also highly commended in the Best Wedding Venue category for the Perfect Wedding Awards 2012. Firstly I would like to thank you for the upkeep of the House and Gardens at St Audries Park and secondly to Liz and her team who couldn’t do enough for us at my son and daughter in law’s wedding on Friday. Shaun and I just wanted to thank St Audries Park and your wonderful team who gave us a wonderful wedding day on the 22nd February. We felt so lucky to have our special day at such a beautiful venue and all the staff were so friendly. Just wanted to reach out and say a massive thank you again for everything! We had the most perfect day and you were so calm and collected and it really helped put us at ease. You oversaw so much and from what we could tell, it all went so smoothly so thank you for all the effort, which I can’t even imagine went in to making it happen! I know it’s “your job” but we’re really so grateful and please pass on our thanks to everyone who worked that day/night, all the guests commented on how lovely every single member of staff was and also how hard they worked to turn the venue round and feed us and all the rest! Also massive congrats to the team for winning Coastal Venue of the Year! I just wanted to send you an email to thank you and everyone there who helped to make our day so special. You all went above and beyond to ensure every little thing was just right. Our guests were very impressed, particularly guests who had allergies who were extremely impressed with how the staff dealt with it. The food was amazing and the waiting staff were fantastic. I cannot thank you all enough. The young lady who helped me out to the Orangery was lovely and she helped with my dress as I didn’t have a grown up bridesmaid. The bar staff were really nice and friendly and everyone commented at how no matter who they asked for anything it was never too much trouble for them. The rooms were beautiful, well looked after, clean and we had everything we needed. Just a great team you have there all round. We had the best day ever. Beautiful wedding venue, lovely open grounds in a perfect location. Very friendly and helpful staff at the venue, and the rooms that are part of the estate are lovely as well. Thank you Liz for making our Wedding Day just so amazing! I got married at St Audries on Valentines Day. Where do I even begin……….. Thank you so much to Hayley who was such a cool and calm but ever so efficient wedding Co-ordinator to Dan and myself. We had the night before at St Audries Park as I had family travel from as far as South Africa to attend, never had they ever been to such a grand beautiful stunning venue. One family member kept telling another to fill up on bread at the dinner as these “posh up to do places only share small portions”, it did make me giggle when the main meal came out more than generous and they moaned at how they would finish their main meal! I can go on and on……. I’ll just say how that if I could do it all again I would do it 100 times over and always at St Audries Park!! Cannot recommend this beautiful place enough. I am sad that it is all over. We just loved the Dinner Date Evening – thanks! The staff were very impressive with their service standards, and it really helped us to talk with other couples and get a feel for what we would like for our big day. What an absolute stunning place. Down the long track you can see the house in the distance. The rooms are magnificent and the galleries and other rooms are stunning. We came here for our daughter and future son in laws taster menu for their wedding this year. I’m in absolute awe of this magnificent setting for a wedding. The staff are brilliant, the service is second to non. I’d like to thank all staff for making our stay very comfortable. We cannot wait to come back in May for our daughters and future son in laws wedding. Our first visit to St Audries was breathtaking, the venue was amazing! Jade went through the details of the packages and we left the venue knowing we didn’t need to see another and that St Audries was the one! very Happy! The lovely Aly was our wedding planner and couldn’t have done us more proud on our wedding day, from day one it was like our best friend was planning our wedding day, message replies from Aly were so fast I thought they were bounce backs, her efficiency and advice just made our experience at St Audries beyond anything we could have imagined. When our day arrived everything was perfect and stress free because all the hard work and planning had been taken care of behind the scenes by Aly and team, we can’t thank you enough for your efforts, a day we will remember, a day that will always bring a smile to our faces.